A pair of dog siblings who captured hearts across the country when they refused to be separated at a shelter have found a forever home. 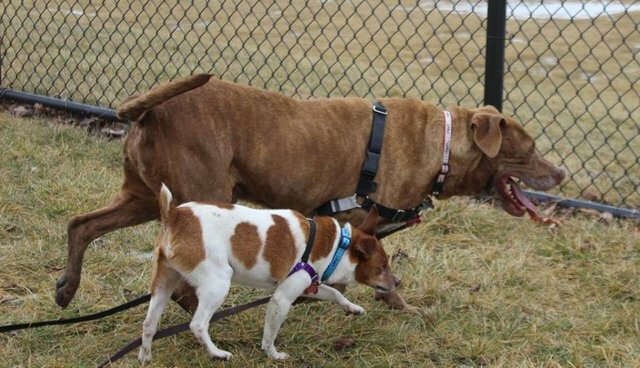 Muellas, a rat terrier mix, and Hercules, a pit bull-lab mix, were turned over to a shelter in February when their owner could no longer care for them. 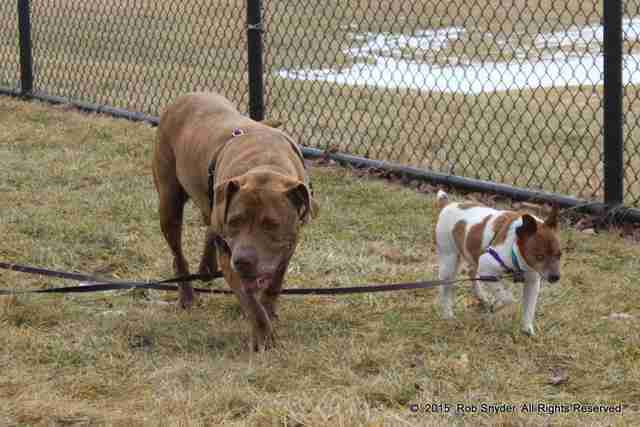 Muellas is blind, and relies on his buddy Hercules to help him get around. When the shelter tried to separate the two, Muellas lost all confidence and Hercules starting whining and crying for his friend. Kindhearted workers at Fort Wayne Animal Care & Control in Indiana realized the animals couldn't be separated and decided to adopt them out as a pair. They were worried about finding them a home since it's more difficult to place pairs of dogs, especially older ones - both of them are 8 years old. 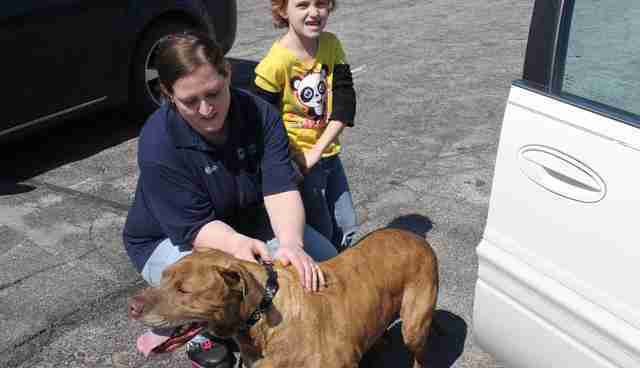 Fortunately, the dogs found a home after spending more than a month at the shelter. 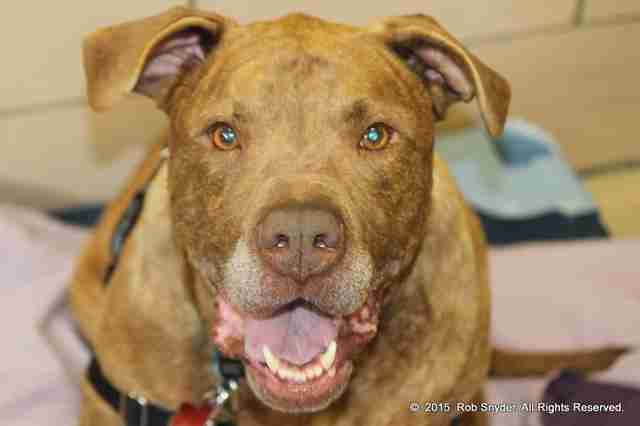 An Ohio family saw them on a "Pet of the Week" TV spot on Tuesday and instantly fell in love. 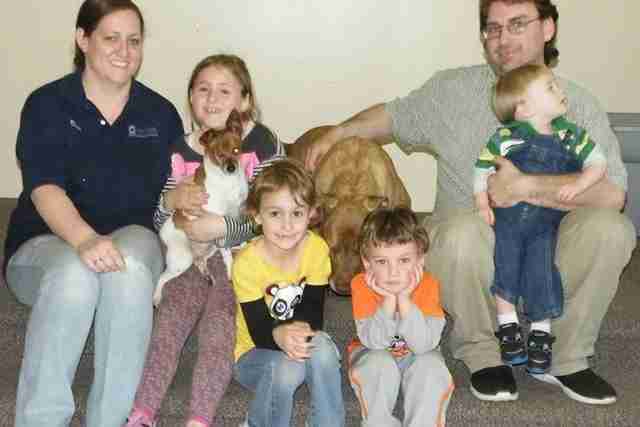 They had been saving up for a pet and, when they saw the adoption fees for the pair had been paid by an anonymous donor, took it as a sign. They immediately made the hour-long drive to visit Muellas and Hercules, and confirmed that it was a perfect fit. 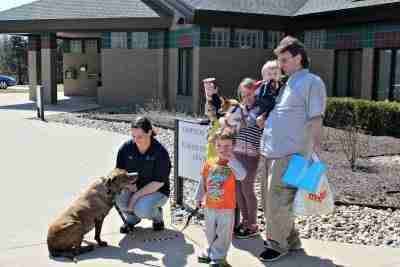 "It was really exciting to see them all interacting," Jodi Hamilton, the shelter's public relations director, told The Dodo. 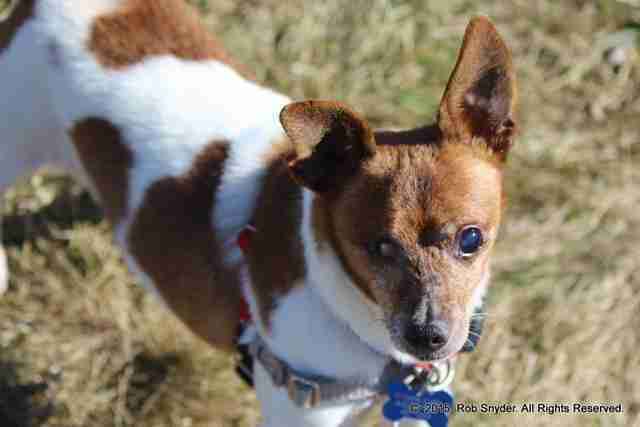 "You could see the dogs' spirit actually 'lift' upon interacting with the family." 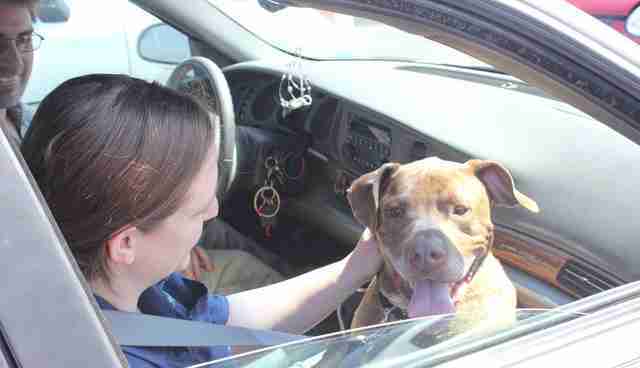 Pictures show the happy dogs playing with their new family and excitedly getting ready to drive to their new home. Hamilton said the staff was "overjoyed" to have found the pair such a good placement. "These are the moments we work towards," she said. "We couldn't be happier."